If you've followed this blog for very long, you know that I hate pack rats. For some background read eRATication. 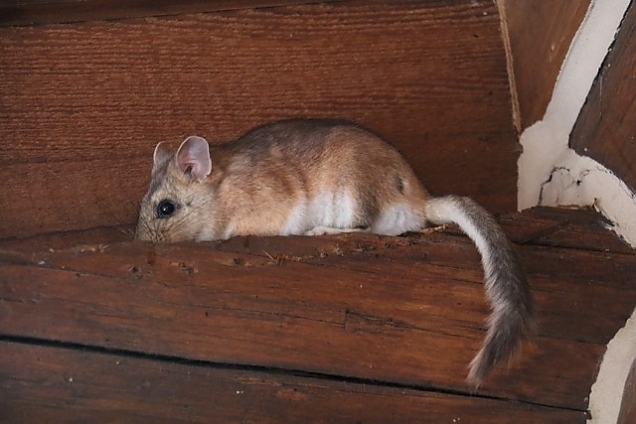 Upon arrival at the cabin last Sunday, we were thrilled to see that no rodent had invaded the cabin interior. However, we were equally disgusted to find a huge pack rat nest on the front deck under our stacks of firewood. You can see the edges of the nest poking out from under the wood racks in this photo. 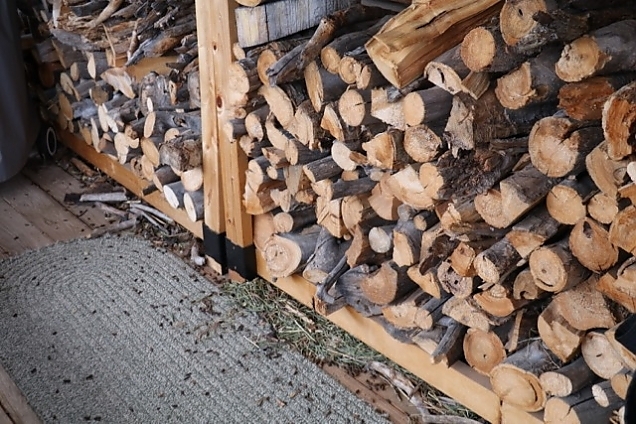 There was nothing to do but laboriously move the wood and the racks and clean up underneath. It was unpleasant work, especially with the smell. 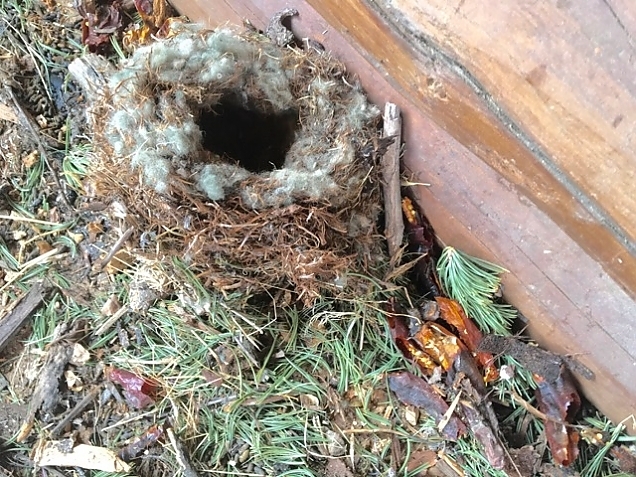 A nice warm, but smelly nest. The pack rat had used some peppers from a ristra we had hanging on the deck to decorate his nest. There was also a cozy sleeping area made out of some kind of insulation--I have not figured out where it came from yet. And, the critter had eaten away at some of the log chinking and got to the foam core between the logs. That made nice bedding, too. We used shovels and pick axes, along with brooms and mops to clean up. Lynne even took a scaper to the mess to get up what she could. I'll need to rent a power washer to clean up any further. At one point we were startled by the rat itself making an appearance. Don't let his cuteness fool you. Pack rats are evil creatures. I'll let the story end there.